of Esmeralda is different, she is the first timid Esmeralda. What makes her timid? Well, you know in the book how Esmeralda loves to dance? In this movie she doesn’t like to dance because she is scared of being arrested. An Esmeralda who hates to dance is like the biggest travesty I have seen in a Hunchback version because her love of dance and her free-spirited nature is paramount to her personality and appeal. Even when she does dance it’s half-hearted. 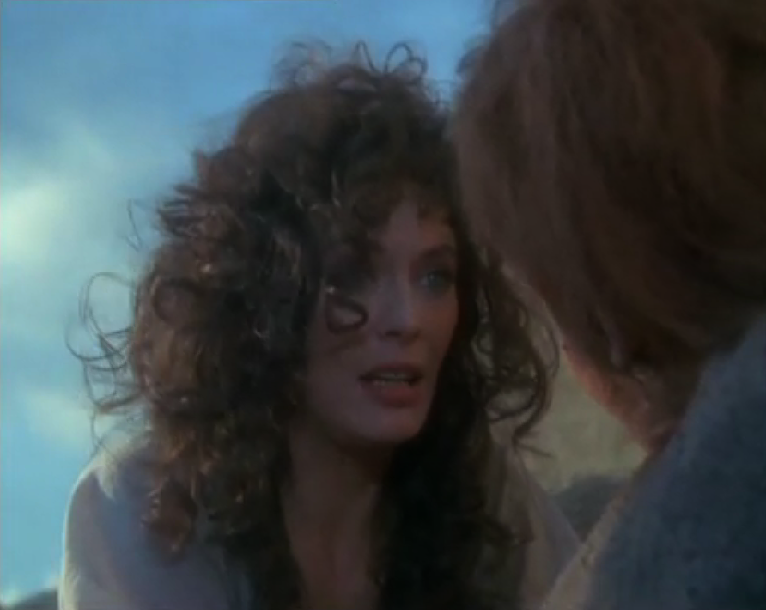 Even if otherwise it was a great depiction of Esmeralda is a huge mark against her character and is unforgivable. Let’s just talk about her looks for a minute. 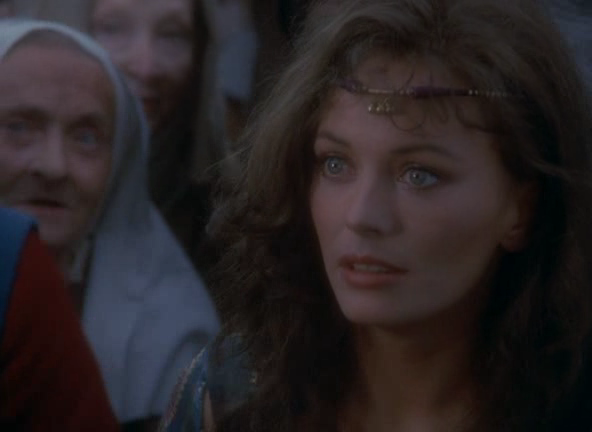 Lesley-Ann Down is very pretty but she is just not right for Esmeralda. Esmeralda is suppose to look exotic to an extent. 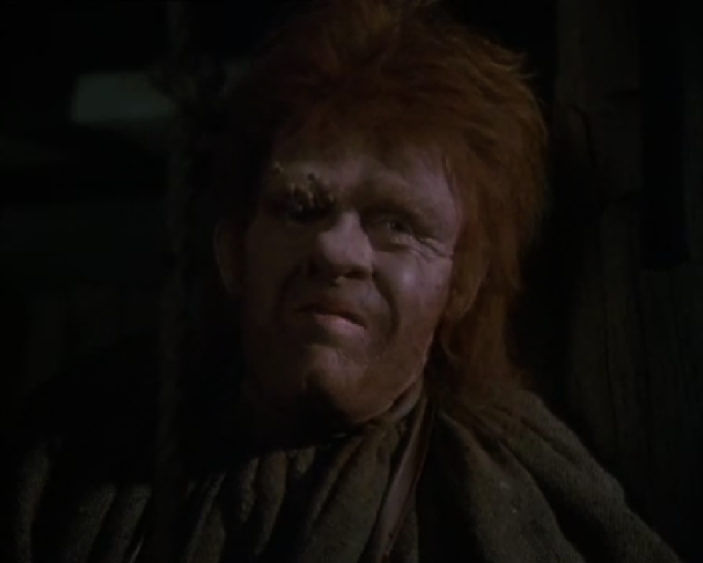 Down has bright blue eyes and brown-ish hair, though in Hunchback it looked more dark blond. So we have a dark blond-ish blue-eyes Esmeralda. This made the jail scene silly when Frollo mentions her dark eyes which were actually bright blue. Down is more a classic English beauty, she just doesn’t read Gyspy which adds to not believing this depiction of Esmeralda. The film tries to excuse her looks, by Frollo asking if she is in fact a Gypsy and her saying she doesn’t know that is just was they told her. Down is also a little on the old side to play to Esmeralda as a young girl. To combat this Down speaks softly. This adds to her timidness. This also makes her seem a bit dim however this Esmeralda isn’t as stupid as she seems. While she is attractive to Phoebus and is willing to sleep with him she does back off and try to leave once she finds out that he’s married. Which makes Frollo stabbing him infinitely unnecessary. 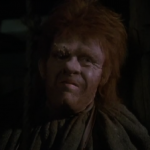 She also wants Quasimodo to bring Phoebus to her not because she wants to see him but to convince Phoebus to get the charges dropped against her. She also recognizes her love for Gringoire. She also develops a bit of a backbone when she rejects Frollo in the jail cell and in Notre Dame, though she pretty much has to rescued both times. She also takes a stand to Gringoire when on their wedding night but that’s in the book. In any case it’s good that she doesn’t always use that timid little voice. Down’s Esmeralda is one of the weaker depictions of Esmeralda. There is not a lot right about her character. Down is not fully to blame, fault lies everywhere; in the writing, in the directing, in the casting and in her acting. 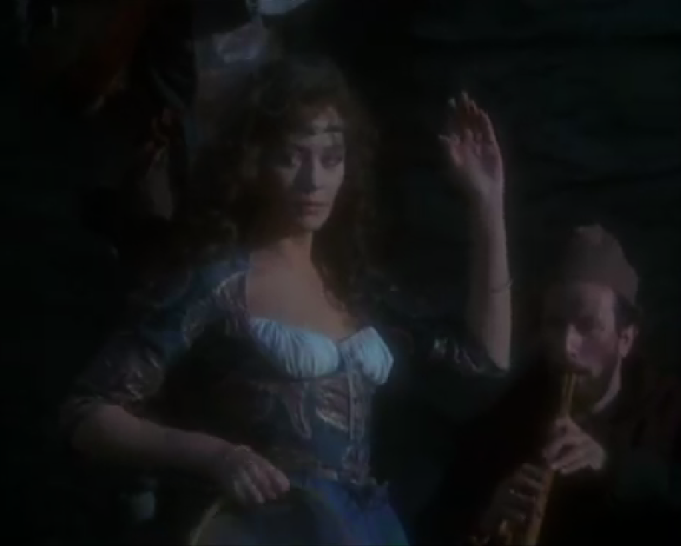 Who makes a timid Esmeralda who isn’t free-spirited and dislikes dancing and excepts an audience to buy that character as an good interpretation of Hugo’s heroine? Very little of the original personality of Esmeralda is present in this version except maybe her kindness but that is it. It’s just a weak version of Esmeralda all around and not believable as the character. Usually in film adaptations, if the film isn’t good or strays too far from the book…etc. I can find at least one redeeming quality in the actress who plays my fave character. 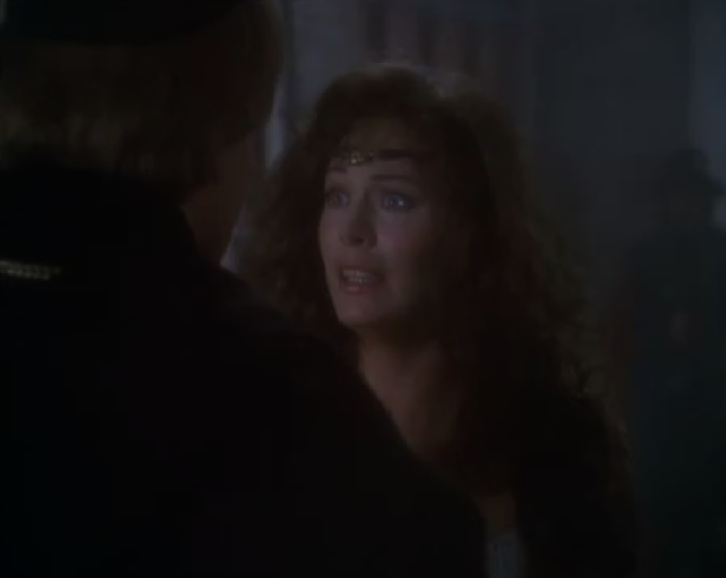 Unfortunately I don’t see any redeeming qualities in Lesly-Ann Down’s portrayal of Esmeralda. She’s too old and trying to play naive and for some reason this Esmeralda has no joy in life! It’s just wrong.